Unlike many of Arne Jacobsen's other designs, Oksen was not designed for a specific architectural project. The voluminous Oksen represents edge and personality and like its predecessor – the Egg – it inhabits a room like no one else. It took Arne Jacobsen nothing less than five years to develop the Oksen design. In contrast to many of his earlier pieces that are characterised by rounded, organic shapes, this easy chair has a much sharper outline. Arne Jacobsen always wanted to surprise the public and Oksen was a project he repeatedly returned to with many variations in the years 1962-66 before it finally took shape in 1966. 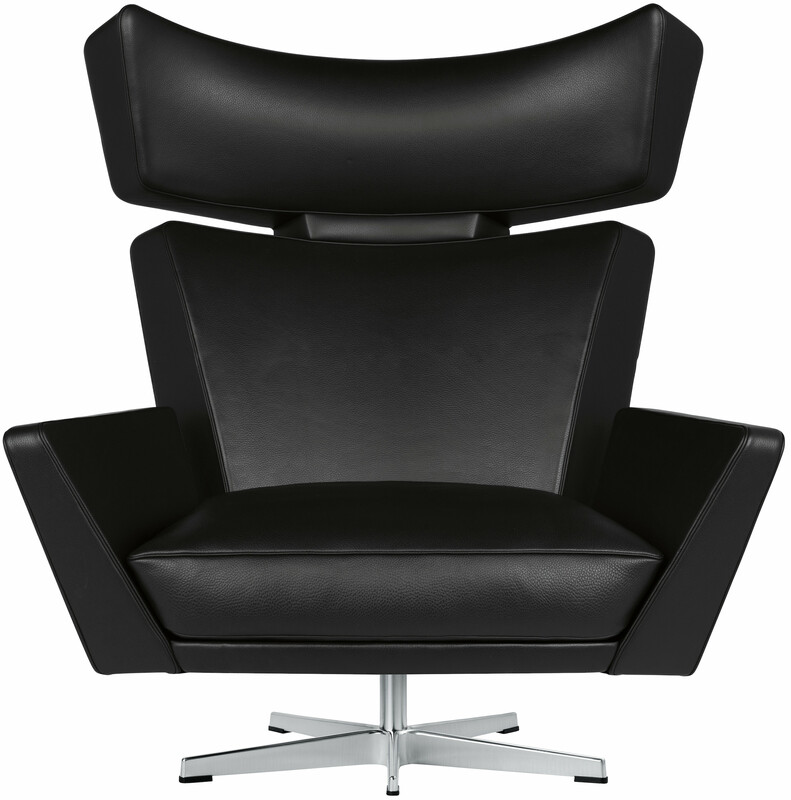 Indeed it can be defined as the largest and most distinctive chair that Arne Jacobsen ever designed. 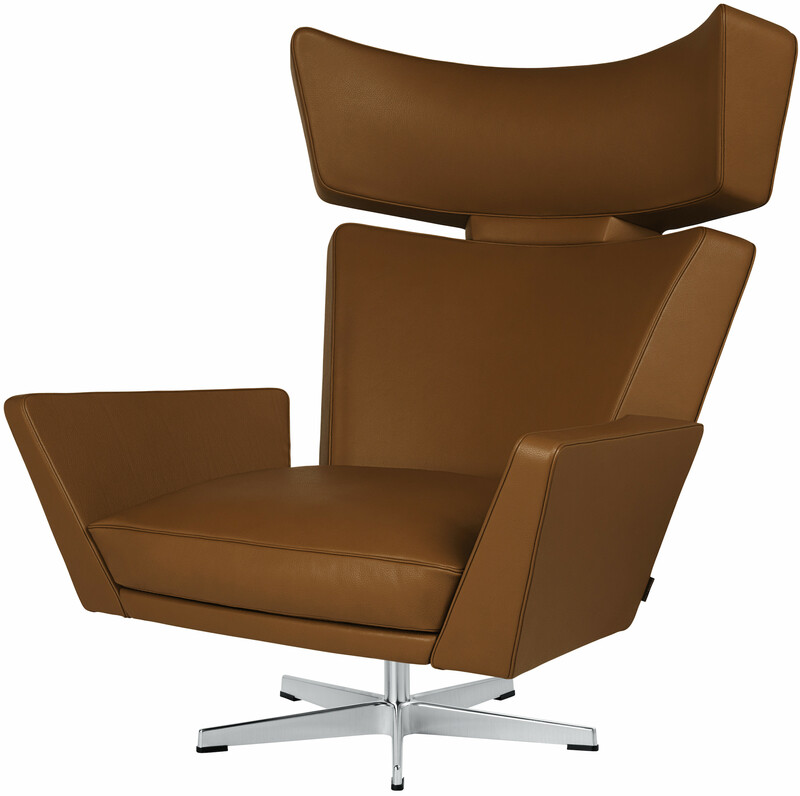 The inspiration is clearly the American recliner type that Jacobsen had seen in the United States. 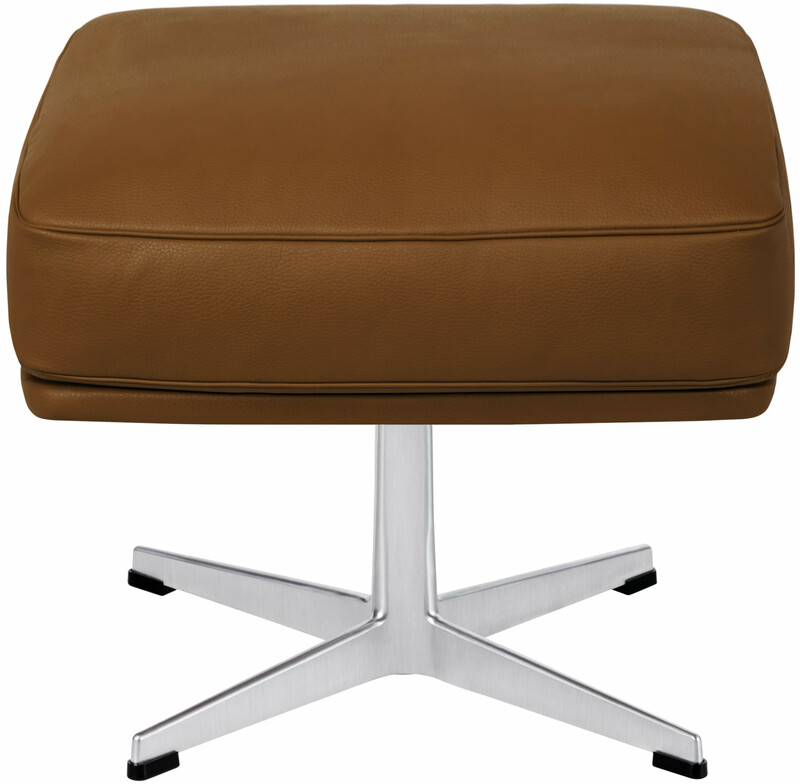 Classic is a durable and very user-friendly type of leather, giving a more uniform look on upholstered furniture. 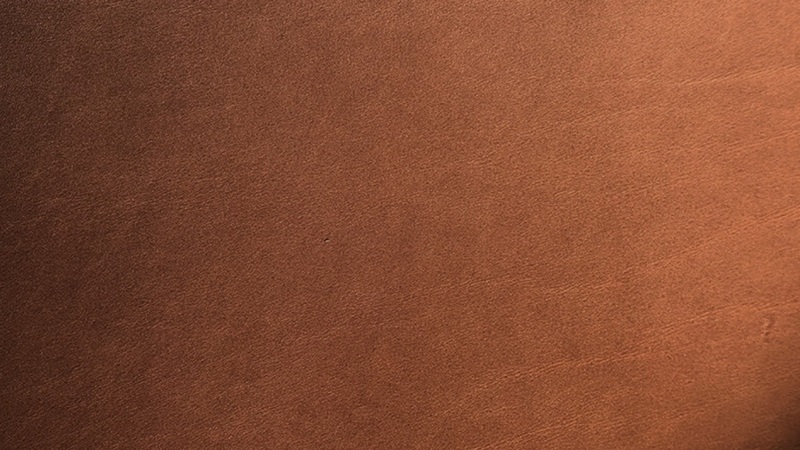 Classic is pigmented and has a strong surface finish, making the leather resilient to dirt and light exposure so that the leather maintains its looks over time. The surface has a slight grain, which means that the natural structure is visible. This gives a very pure expression, almost without visible natural markings. 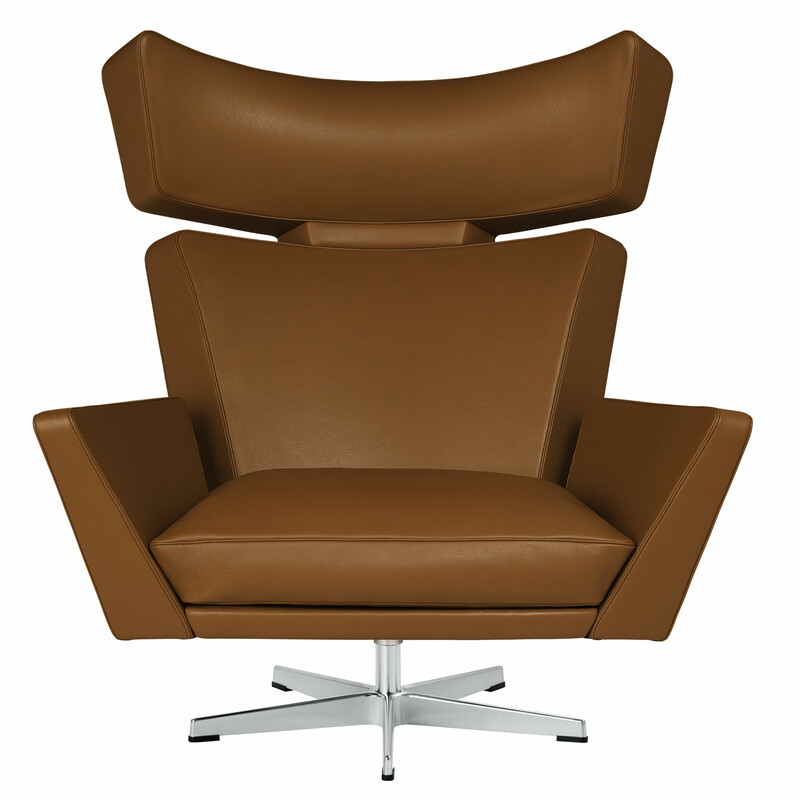 Extreme is aniline leather with a natural surface, which mirrors the active life of the animal. Every Extreme hide is a unique piece, characterised by several and different types of beauty marks - from insect bites and scars to stretch marks, wrinkles and shades formed by the bone structure. 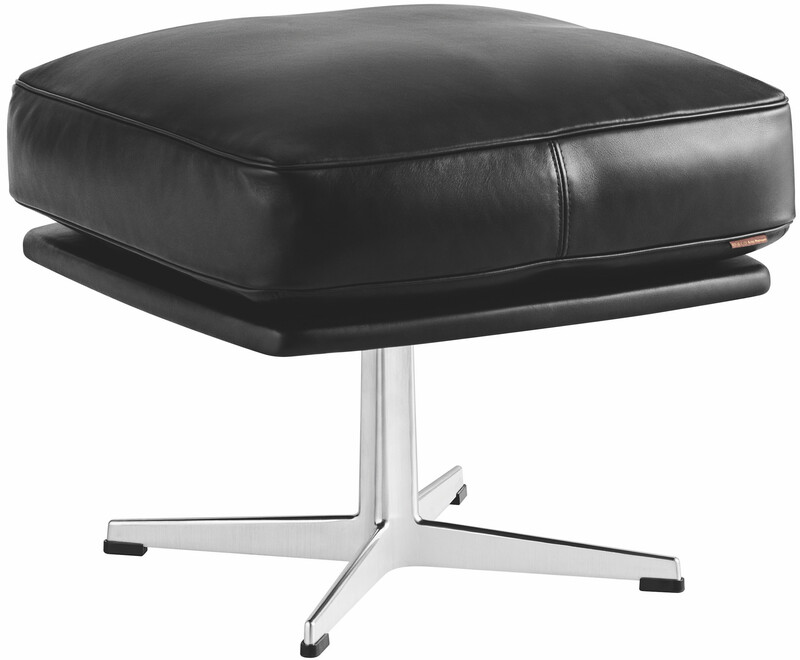 Upholstery Oksen comes in leather only and in three different leather types: the beautiful Elegance leather and the strong Classic leather in black or Walnut and finally in Extreme leather in black only. 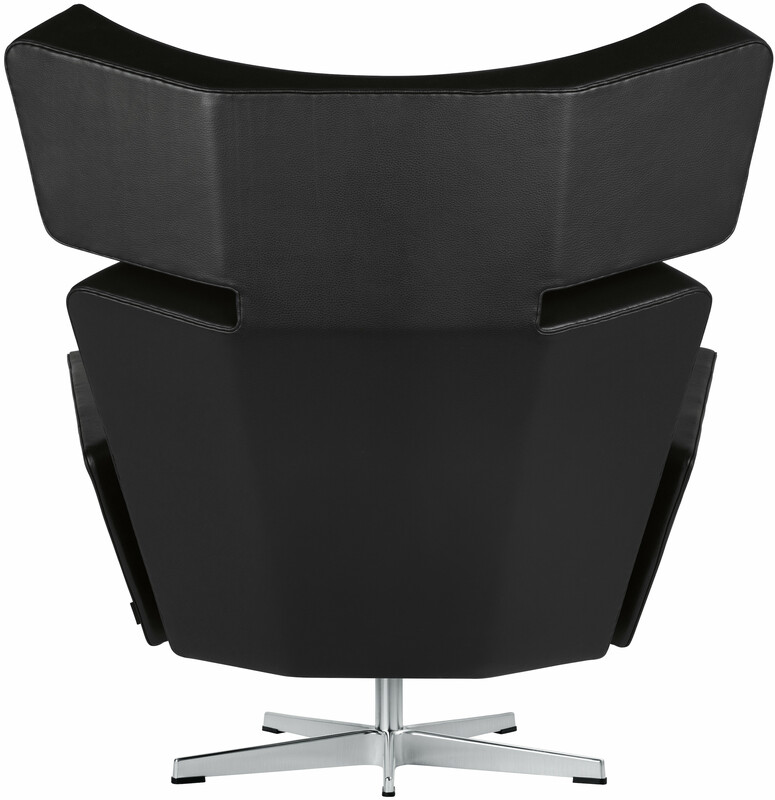 Whilst the chair looks graphical and almost facetted shaped when you look at it from the side and from the back, the actual seating part is softened by a foam and down seat and foam layered neck. The seat will soften in time as the chair slowly ages with beauty. Furthermore, the back of Oksen is handstitched just like the Egg while the front side is sowed. Base The base of the chair is the original and recognisable Arne Jacobsen 5-star base, and the base of the matching footstool is the 4-star base. Furthermore the columns of the chair is also available with return mechanism. The base is available in two versions: black powder coated aluminium and satin polished aluminium.